K & M Dance Company, Ballet & Musical Theatre Dance, Fairmont Studio of Dancing, are just a few of the dance companies, West Virginia dance schools, dancing organizations and dance wear suppliers that that can be found in our comprehensive Directory of West Virginia Dance Companies. 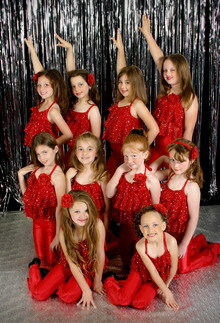 K & M Dance Company was opened in 2002 and has strived to provide quality & affordable dance instruction. All three instructors started dance at the age of three at Deanna's School Of Dance in Sissonville, WV, under the direction of Deanna Hoffman, and then later Letita Sasser. Then became instructors for the studio until it closed. There are many fine dance schools in West Virginia. I know I am in contact with them as we supply a range of high quality dancewear products like leotards, dance pants, dance dresses and other dancing apparel. Bangkok Companies supplies an amazing range of dancewear from Thailand. I have looked at these dance garments and dance accessories in detail. There is only one word to describe them Superb. For more details click on the pictures or send an email to bangkokcompanies@gmail.com We regret at this time we can only satisfy West Virginia wholesale dancewear requests. 822 Virginia Street East WV 25301 Charleston, West Virginia U.S.A.
717 Lee Street East WV 25301 Charleston, West Virginia U.S.A.
1305 Washington Street West WV 25302 Charleston, West Virginia U.S.A.
1110 Central Avenue WV 25302 Charleston, West Virginia U.S.A.
5301 Maccorkle Avenue SW WV 25309 Charleston, West Virginia U.S.A.
7379 Sissonville Drive WV 25320 Charleston, West Virginia U.S.A.
601 Pennsylvania Avenue WV 25302 Charleston, West Virginia U.S.A.
1033 Quarrier Street WV 25301 Charleston, West Virginia U.S.A.
230 7th Avenue SW WV 25303 South Charleston, West Virginia U.S.A.
701 F Street WV 25303 South Charleston, West Virginia U.S.A.
106 West Main Street WV 26330 Bridgeport, West Virginia U.S.A.
415 Benedum Drive WV 26330 Bridgeport, West Virginia U.S.A. Movements in Dance,1814 Woodleaf Drive WV 26554 Fairmont, West Virginia U.S.A.
301 10th Street WV 26554 Fairmont, West Virginia U.S.A.
1912 Speedway Street WV 26554 Fairmont, West Virginia U.S.A.
874 Fairmont Road WV 26505 Morgantown, West Virginia U.S.A.
119 East Park Avenue WV 26554 Fairmont, West Virginia U.S.A.
4544 Emerson Avenue WV 26104 Parkersburg, West Virginia U.S.A.
517 Market Street WV 26101 Parkersburg, West Virginia U.S.A.
609 30th Street WV 26101 Parkersburg, West Virginia U.S.A.
2305 Camden Avenue WV 26101 Parkersburg, West Virginia U.S.A.
1311 Ann Street, Box 4204 WV 26104 Parkersburg, West Virginia U.S.A.
Rt. 9, Box 29, Dutch Hills Terrace WV 26101 Parkersburg, West Virginia U.S.A.
124 North Maple Avenue WV 25401 Martinsburg, West Virginia U.S.A.
118 West Martin Street WV 25401 Martinsburg, West Virginia U.S.A.
Ashebrooke Square WV 26505 Morgantown, West Virginia U.S.A.
10 Tower Lane # D WV 26505 Morgantown, West Virginia U.S.A.
241 Walnut Street WV 26505 Morgantown, West Virginia U.S.A.
276 Walnut Street # B WV 26505 Morgantown, West Virginia U.S.A.
973 Chestnut Ridge Road WV 26505 Morgantown, West Virginia U.S.A.
1112 Greenbag Road WV 26505 Morgantown, West Virginia U.S.A. Traditional American and English Dance including Contra Dance, Northwest Morris Dance, Welsh Border Morris, Maypole celebrations. Flowing Springs Road WV 25443 Shepherdstown, West Virginia U.S.A.
David Callihan Dance Dimensions, 96 Washington Avenue WV 26003 Wheeling U.S.A.
96 Washington Avenue WV 26003 Wheeling, West Virginia U.S.A.
319 North York Street WV 26003 Wheeling, West Virginia U.S.A.
2239 Market Street WV 26003 Wheeling, West Virginia U.S.A.
1330 National Road WV 26003 Wheeling, West Virginia U.S.A.
100 Campus Drive WV 26241-3996 Elkins, West Virginia U.S.A.
Forest Hill Court 11650 WV 22030 Virginia, Fairfax U.S.A.
104 East Main Street WV 26537 Kingwood, West Virginia U.S.A.
209 Kingston Road WV 26537 Kingwood, West Virginia U.S.A.
3720 Auburn Road WV 25704 Huntington, West Virginia U.S.A.
819 10th Avenue WV 25701 Huntington, West Virginia U.S.A.
6021 East Pea Ridge Road WV 25705 Huntington, West Virginia U.S.A.
113 3rd Avenue W WV 25701 Huntington, West Virginia U.S.A.
731 5th Street W WV 25701 Huntington, West Virginia U.S.A.
210 11th Street WV 25701 Huntington, West Virginia U.S.A.
7 Seminole Road WV 25705 Huntington, West Virginia U.S.A.
309 Beckley Crossing Shopping Center WV 25801 Beckley, West Virginia U.S.A.
112 Raleigh Avenue WV 25801 Beckley, West Virginia U.S.A.
204 Hartley Avenue WV 25801 Beckley, West Virginia U.S.A.
127 Hight St. WV 25801 Beckley U.S.A.
743 Main Street WV 26037 Follansbee, West Virginia U.S.A.
1000 Main Street WV 26037 Follansbee, West Virginia U.S.A.
3009 Main Street WV 26062 Weirton, West Virginia U.S.A.
3334 Main Street WV 26062 Weirton, West Virginia U.S.A.
3156 Main Street WV 26062 Weirton, West Virginia U.S.A.
110 South 24th Street WV 26062 Weirton, West Virginia U.S.A.
3061 Main Street WV 26062 Weirton, West Virginia U.S.A.
2119 4th Street WV 26041 Moundsville, West Virginia U.S.A.
9 West Main Street WV 26201 Buckhannon, West Virginia U.S.A.
1801 Jefferson Street WV 24701 Bluefield, West Virginia U.S.A.
1807 Jefferson Street WV 24701 Bluefield, West Virginia U.S.A.
2529 Clovis Street Bluefield, WV 24701 U.S.A.
2825 Main Street Rear WV 25526 Hurricane, West Virginia U.S.A.
3524 Teays Valley Road WV 25526 Hurricane, West Virginia U.S.A.
28 Henshaw Road # A WV 25428 Inwood, West Virginia U.S.A.
195 Valley View Road WV 25428 Inwood, West Virginia U.S.A.
28A Henshaw Road WV 25428 Inwood, West Virginia U.S.A.
64 Michigan Avenue WV 25136 Montgomery, West Virginia U.S.A.
505 Madison Street WV 25136 Montgomery, West Virginia U.S.A.
57 West Main Street WV 26354 Grafton, West Virginia U.S.A.
9 East Washington Street WV 26354 Grafton, West Virginia U.S.A.
122 West Washington Street WV 24901 Lewisburg, West Virginia U.S.A.
109 Thorn Street WV 24740 Princeton, West Virginia U.S.A.
201 Dunbar Avenue WV 25064 Dunbar, West Virginia U.S.A.
1714 Lakeland Circus WV 25320 Sissonville, West Virginia U.S.A.
6421 A Sissonville Drive WV 25177 Sissonville, U.S.A.
703 West Pike Street WV 26301 Clarksburg, West Virginia U.S.A.
165 West Pike Street WV 26301 Clarksburg, West Virginia U.S.A.
301 Duff Avenue WV 26301 Clarksburg, West Virginia U.S.A.
928 West Pike Street WV 26301 Clarksburg, West Virginia U.S.A.
1116 North 24th Street WV 26301 Clarksburg, West Virginia U.S.A.
Route 41 WV 25927 Stanaford, West Virginia U.S.A.
136 Lewis Street WV 25901 Oak Hill, West Virginia U.S.A.
Lerose Plaza WV 26651 Summersville, West Virginia U.S.A.
Dry Run Road WV 26187 Williamstown, West Virginia U.S.A.
5229 Big Tyler Road WV 25313 Cross Lanes, West Virginia U.S.A.
5053 Elk River Road South WV 25071 Elkview, West Virginia U.S.A.
Route 6, Box 12120 WV 26000 Berkeley Springs, West Virginia U.S.A.
304 Sycamore Road Culloden, WV 25510 U.S.A.
2492 James River Tpke WV 25545-9722 Ona, West Virginia U.S.A.
Route 1, Box 209 WV 26184 Waverly, West Virginia U.S.A.
1136 Keowee Avenue TN 37919 Knowville U.S.A.
PO Box 758 WV 26531 Dellslow, West Virginia U.S.A.